FROM the emphasis placed on environmental facilities to assist or hinder the thought cells in bringing the physical events they desire to pass it will be apparent that, while these lessons present what we believe to be the most effective of all nonphysical methods of treatment, there is no intent to disparage supplementing stellar healing with physical methods. It is quite certain there are cases in which the use of chemicals is imperative. Surgery, at times, must be resorted to if the life is to be saved. Home remedies of a wide variety are known to be effective in certain complaints, and good nursing, more frequently than not, is a great help. Osteopathic, chiropractic, massage, electric, physiotherapy and other types of treatment often yield excellent results. Each method may provide the facilities that enable the health seeking thought cells to restore health, or that place obstacles too great to be surmounted in the path of the disease seeking thought cells. But to insure that the health will not again be impaired when the environment is once more less favorable, or when the disease seeking thought cells are afforded more power through a progressed aspect, the desires of the thought cells responsible for the disease must be changed. Furthermore, those using any healing method can attain greater success if they will precede treatment with stellar diagnosis. But it should be pointed out that a diploma from a medical college does not make a doctor in the sense that its possessor then is able to cure disease. Neither does a certificate from The Church of Light that he has passed the examination on stellar healing make of its possessor a stellar healer. The award merely shows, in either case, that the individual has mastered certain studies. It requires the development of a technique by one who is naturally fitted for it to make a stellar healer. Those who are not real stellar healers cannot become so by the possession of a piece of paper; and those who are can be known by the regained health of their patients. Only accredited colleges, capitalized for a large sum of money and teaching the subjects authorized by legally recognized academic standards can bestow academic degrees. The Brotherhood of Light lessons were written, and the information they contain is being taught, because these facts essential to the welfare of mankind cannot be learned in universities. They cover subjects which as yet are not recognized by academic authorities. Thus all should understand that passing examinations, such as are required to be initiated into the various degrees of The Religion of the Stars, carries no legal privilege whatever, nor does it warrant the use of letters of any kind after the individual’s name. This explanation is made to make it clear to anyone who passes examinations on this course that NO LEGAL PRIVILEGE either to diagnose or heal is granted thereby. Each state has its own laws regulating the practice of the healing art. In some states it is forbidden for any, except those passing the requirements of a State Board of Examiners, to prescribe so much as a glass of water, or to give any opinions as to the nature of an illness, or even to place the hands on a person for healing purposes. So long as such laws exist no church or school can defy them. The privilege to practice either stellar diagnosis or stellar healing cannot be granted by The Church of Light, but must be obtained by compliance with the state laws which govern drugless healing. Those who have natural ability as healers and wish to practice stellar healing should make themselves familiar with the drugless healing laws of the state in which they expect to practice, and should get a license under those laws to practice some form of healing. When the needs of the patient require it, passes may be made a supplementary part of the General Treatment. Passes over the patient not merely facilitate the Row of electromagnetic energy from the healer’s fingers, thus charging the patient more thoroughly with it, but they are of particular value in directing the trend of the nerve currents, and consequently the blood supply of the body. The electromagnetic currents, and the blood supply, tend to follow the direction of the passes. Such passes are made over the patient’s body lengthwise, either from the head down, or from the feet up. While making them the hands are moved within a few inches from actual contact with the body. Passes may also be made over local areas to redistribute nerve currents and blood supply. When a local area is thus treated, however, it is somewhat more effective to use gentle strokings with the fingers, as the actual physical contact facilitates the electromagnetic energy reaching the patient. To soothe, draw the blood from the head, and relax the patient, the passes should be from the head toward the feet. As the nerve currents and blood are withdrawn from the brain, its activities subside, the patient becomes drowsy, and if these downward passes are continued, he will fall asleep. Such passes should be slow and gentle; and if there is special need for the patient to rest, talking to him in a soothing monotone will assist putting him to sleep. When the patient has been in such pain that he has been unable to sleep, or his nerves are such that sleep flies from him, instead of the morphine used by the medical school, the stellar healer uses soothing downward passes accompanied by low monotone talking, in which the patient is told, from time to time, that he is drowsy, that he is going to sleep, and that the sleep will be restful and refreshing. That is, just as the healer mentally tells certain cells and organs what they are to do, when treating them, so when he wishes the patient to get a refreshing sleep, he tells the patient, either mentally or in the vocal manner indicated, that he is to relax, sleep. and refresh himself. If, however, instead of being too high strung and nervous to sleep, the patient is drowsy and mentally inactive, the passes should be made up toward the head. Such passes are stimulating, and instead of being made slowly and soothingly, they should be completed in rather rapid vigorous movements. The effect is to cause the nerve currents and blood supply to flow strongly to the brain. This stimulates brain activity, overcomes drowsiness, and routes lethargy. Whether or not passes are used, the redistribution of the blood supply due to the electromagnetic energies imparted to him may cause the patient to feel decidedly dizzy immediately after treatment. Both the added electromagnetic energy to give new life, and the changed circulation to cause the blood to flow where most needed, in such cases, are just what is needed. But the patient, feeling dizzy, may be alarmed. Where such dizziness is felt the cause should be explained, and a place provided where the patient can rest for an hour after treatment before moving about much. Such a rest enables the circulation to become properly adjusted and permits the dizziness to disappear. For the same reason, that the circulation both of the electromagnetic energies and the blood are disturbed, it is often better for the patient to refrain from eating for an hour after the treatment. If the stomach is filled immediately after the treatment, blood and energy elsewhere diverted to healing purposes may not be sufficient in the region of the digestive tract to enable the food to be properly handled. But after an hour no such disturbance of the normal functions is apt to remain. The first thing to be done is to erect the birth chart of the patient and calculate the progressed aspects for the time he became ill. The progressed aspects will indicate the particular birth-chart predisposition which has been given enough additional energy to enable it to attract its type of disease. A familiarity with the birth-chart and progressed constants of the 160 diseases given in this course, together with the physical symptoms, should enable the healer to determine both the nature of the disease and the thought cells whose unusual activities, due to one or more progressed aspect, are the chief inner-plane cause. An important objective in stellar diagnosis is to determine the thought-cell group whose discord is thus chiefly responsible for attracting the disease. As each planet when discordant tends to manifest in diseases which are characteristic of it, as indicated by their organ and function rulership given in Chapter 3 (Serial Lesson 199), and more specifically in the constants of the 160 diseases considered in this course, this commonly is not difficult to do. 1. THE DESIRES OF THE THOUGHT CELLS CHIEFLY RESPONSIBLE FOR THE DISEASE MUST BE FAVORABLY CHANGED. To do this, planetary energies selected for their ability so to change these thought cells that they will desire and work for health are tuned in on and delivered to the zone of the body occupied by the birth-chart planet or progressed planet mapping the responsible thought cells. As indicated by the constants involved, sometimes more than one dynamic structure needs treatment. The zone is indicated by the zodiacal sign in which the planet mapping the discordant thought cells is found. To change their desires, in general the planetary antidotes given in Chapter 5 (Serial Lesson 201) are employed; but more specific instructions, in which other planetary energies are used to supplement these in treating some diseases, are given in the chapters to follow. Whether the treatment is for the purpose of healing the body, healing defects in the character, correcting domestic discords, improving the finances, gaining merited honor, or healing breaches in friendship, the major portion of the specific stellar treatment should be devoted to changing the desires of the dynamic thought cells chiefly responsible for the difficulty through delivering to the zone where the planet actually mapping them is located the proper planetary energy charged with the definite thought that they will change their desires and work for that which the healer demands. Through the principle of resonance, if these dynamic thought cells change their desires, the common thought cells mapped by the signs the same planet rules will similarly change their desires. And if the zone of the physical body, or the department of life, has been affected adversely by these dynamic thought cells radiating energy as a Rallying Force, this Rallying Force will be altered when their desires are changed. 2. THE DESIRES OF THE THOUGHT CELLS OF THE ZONE WHERE THE DISEASE MANIFESTS MUST BE FAVORABLY CHANGED. Commonly when the disease manifests in some particular area, the planet mapping the thought cells chiefly responsible for the disease also rules the sign covering the zone where the disease manifests. By treating the zone where the responsible planet is located, through the principle of resonance the desires of these common thought cells also are favorably changed. But even so, when the disease manifests in some special region—such as the head, heart, stomach, bowels or feet—it is well to give this zone about half as long a stellar treatment as is given to the dynamic thought cells elsewhere located. If, as is sometimes the case, an afflicted planet in this zone contributes to the disease, as indicated by its constants, the thought cells mapped by this planet should receive treatment. But if a planet in the sign does not contribute to the disease, or if no planet is in the sign—people may have headache with no birth-chart or progressed planet in Aries, may have diphtheria with no birth-chart or progressed planet in Taurus, may have stomach trouble with no birth-chart or progressed planet in Cancer—the planetary antidote for the planet ruling the sign should be applied directly to the common thought cells at the zone head, neck, stomach, etc.—where the body disease is present. 3. THE DESIRES OF THE THOUGHT CELLS OF THE HOUSE CONSTANTS OF THE DIFFICULTY SHOULD BE GIVEN HARMONIOUS STRENGTH. In addition to the thought cells chiefly responsible for the difficulty, and those where a body disease manifests, there are always certain house constants. We find, for instance, that in all cases of body illness there is a progressed aspect to the ruler of the first house and a progressed aspect to the ruler of the sixth house. In marriage difficulties there is always a progressed aspect to the ruler of the seventh house. In employment difficulties there is always a progressed aspect to the ruler of the tenth house and a progressed aspect to the ruler of the sixth house. In money loss there is always a progressed aspect to the ruler of the second house. Whatever the nature of the difficulty the treatment is to correct, the zone, or zones, of the astral body covered by the house constant, or constants, should receive brief specific stellar treatment. The treatment should be applied to the zone, or zones, which are the constant, or constants. Other things being equal, a birth-chart planet in a house has twice the power to influence it as a progressed planet in the same house or the planet ruling its cusp. But if at birth the progressed planet or the planet ruling the house cusp had more than twice as many astrodynes as the birth-chart planet in the house, it would have more power to influence the house than the birth-chart planet in it. In selecting the planetary and thought energy with which to treat a house constant, therefore, the one should be selected which will most benefit the thought cells mapped by the house. For a fifteen minute specific stellar treatment about eight minutes can be given to treating the dynamic stellar structures chiefly responsible for the disease, about four minutes may be devoted to treating the zone where the disease manifests, if it manifests in some particular area, and about three minutes may be devoted to treating the zone or zones which are the house constant, or constants, of the difficulty. These are mapped by the signs on the first and sixth houses if it is a body disease. After tuning in on the planetary energy selected, as explained in Chapter 4 (Serial Lesson 200), there are three methods of reaching the thought cells of a selected zone with the planetary energy reinforced by thought, the third being merely a combination of the other two. The direct method is to place the hands over the zone where the thought cells are located the desires of which are to be changed, or better still to place one hand over the zone and the other hand on the opposite side of the limb or body. The indirect method is to place the hands close together along either side of the backbone where the nerves branch off which reach the zone being treated. Where these spinal nerves are located is given in Chapter 3 (Serial Lesson 199). The combination method, which is probably the most effective way of reaching the compartment in the astral body where the discord is located, is to place one hand directly on the zone of the physical body where the discord is located, and to place the other hand on the back where the nerve leaves the spine which leads to the zone, and to send the planetary energy over the electromagnetic current thus established. The healer tuned in on the selected planetary energy, and having in mind the determination that the patient shall have perfect health, should mentally command the thought cells being treated to become harmonious and to desire and work for the health of the patient. He should saturate the zone being treated with the astral color of the planetary energy being used. As indicated in Chapter 4 (Serial Lesson 200), the color must flow, along with his electromagnetism, to the thought cells, delivering to them both the selected planetary energy and the commands of the healer. After the specific stellar treatment has been given, it is well to finish with the three final stations of the general health treatment (Chapter 5, Serial Lesson 201). The independent power and harmony or discord of a minor-progressed aspect may be calculated exactly as if it were the power and harmony or discord of a major-progressed aspect, except that the results so obtained should then be divided by 27.3. The peak power of 16 such independent minor-progressed aspects in the John Edwards chart is given in the table on the left. The power and harmony or discord of a transit aspect may be calculated exactly as if it were the power and harmony or discord of a major-progressed aspect, except that the results so obtained should then be divided by 365.25. 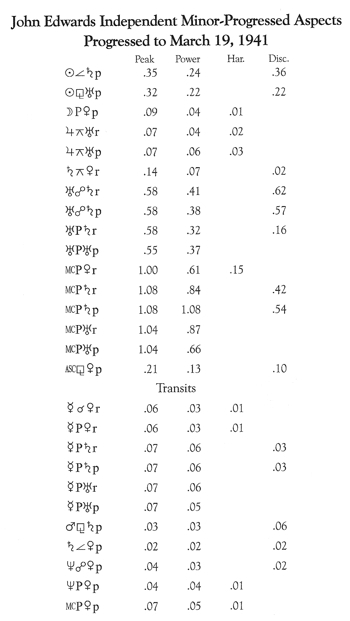 The peak power of 11 such transit aspects in the John Edwards chart is given in the table on the left. First find the peak power of the aspect. Then find how many minutes the aspect is from perfect. Multiply one-half the peak power of the aspect by the number of minutes the aspect is from perfect and divide the product by 60. This gives the variation in power due to the number of minutes the aspect is from perfect. Subtract the number so found from the peak power. The resulting number is the power of the aspect in astrodynes on the given date. Use this power, the nature of the aspect and the nature of the planets making the aspect to determine the harmony or discord exactly as if it were a major-progressed aspect, except that if at the time the planets are in mutual reception instead of adding 2.50 harmodynes, only .09 harmodynes should be added for a minor-progressed aspect, and only .01 harmodyne should be added for a transit aspect. The difference between the degree and minute occupied by the planet as shown on the given date in the ephemeris and the degree and minute of the perfect aspect, is the distance a transit aspect is from perfect. The ephemeris positions of the planets on March 19, 1941, are given in the table below. To find how far from perfect a minor-progressed aspect is on a given date, if the Lunar Constant is minus, add it to the number of the month and day of the given date, but if the Lunar Constant is plus, subtract it from the number of the month and day of the given date. The result will be the sign and degree occupied by the minor-progressed Moon on the given date. In the ephemeris find the Minor Progression Date representing the birthday in the calendar year in which the given date occurs. Then move ahead in the ephemeris if the date is after the birthday, and back in the ephemeris if the date is before the birthday, to the ephemeris day on which the minor-progressed Moon is shown in the sign and degree found for the given date. By proportion or logarithms calculate the degree and minute occupied by the planet when the minor-progressed Moon is in the sign and degree it occupies on the given date. The difference between the degree and minute thus found and the degree and minute of the perfect aspect is the distance the aspect is from perfect. In the John Edwards chart to find the minor-progressed positions on March 19, 1941, we first multiply 27.3 by 21 (years after birth) which gives us 573.3 days after birth. Dividing 573.3 by 365 gives us 1 year, with 208.3 days over. Dividing 208.3 by 30 gives 6 months, with 28.3 days over. To March 19, 1920, add 1 year, 6 months, 28.3 days and it gives the approximate Minor Progression Date as October 17, 1921. On this date the Moon is in Aries; but as on the Minor Progression Date the Moon must be in the same degree and minute as at birth, we move back to October 13 where the Moon is 10 Pisces 32. Using logarithms to calculate the interval, we find on October 13, 1921, the Moon reaches 13 Pisces 29, where it was at birth, in a plus EGMT Interval of 5h. 52m. We therefore calculate the positions of the other planets also for the EGMT Interval of 5h. 52m. The birth-chart positions of the planets in the John Edwards chart are given in Serial Lesson 197. The major-progressed positions of the planets on March 19, 1941, are given in Serial Lesson 201. The minor-progressed positions of the planets on March 19, 1941, are given here (to the left). By comparing these positions with the birth-chart and major-progressed positions it will be found that minor-progressed Sun is 36´ distant from the perfect semisquare of major-progressed Saturn. The peak power of the aspect is .35. One-half of .35 is .18. Multiplying .18 by 36 (distance) gives 6.48. Dividing 6.48 by 60 gives .11. .35 (peak) minus .11 gives the independent power of the aspect on March 19, 1941, as .24 astrodynes. Dividing .24 by 2 (Saturn) gives .12. .24 plus .12 gives the discord of the aspect on the mentioned date as .36 discordynes. Minor-progressed Moon is 59´ from perfect parallel major-progressed Venus. As a progressed aspect from the Moon is one-seventh the power of the same aspect between other planets, the peak power of the aspect is .09. One-half of .09 is .05. Multiplying .05 by 59 gives 2.95. Dividing 2.95 by 60 gives .05. .09 (peak) minus .05 gives the independent power of the aspect on March 19, 1941, as .04 astrodynes. Dividing .04 by 4 (Venus) gives the harmony of the aspect at this time as .01 harmodyne. Minor-progressed Uranus lacks 39´ of the perfect parallel with major-progressed Uranus. The peak power of the aspect is .55. One-half of .55 is .28. Multiplying .28 by 39 gives 10.92. 10.92 divided by 60 gives .18. .55 minus .18 gives the independent power of the aspect on March 19, 1941, as .37 astrodynes. Relative to harmony it is neutral. The independent power and harmony or discord of each of the 16 minors progressed aspects within orb of an aspect to Venus, Saturn or Uranus on March 19, 1941, in the John Edwards chart are given above. The transit positions of the planets on March 19, 1941, are given above. By comparing these positions with the birth-chart and major-progressed positions in the John Edwards chart it will be found that transiting Mercury lacks 53´ of perfect conjunction with birth-chart Venus. The peak power of the aspect is .06. One-half of .06 is .03. Multiplying .03 by 53 gives 1.59. Dividing 1.59 by 60 gives .03. .06 (peak) minus .03 gives the power of the aspect on March 19, 1941, as .03 astrodynes. Dividing .03 by 4 (Venus) gives the harmony of the aspect as .01 harmodyne. Mars lacks 8´ of the perfect sesquisquare of progressed Saturn. The peak power of the aspect is .03. One-half of .03 is .02. Multiplying .02 by 8 gives .16. .16 divided by 60 gives less than .01 to be subtracted from the peak power. Therefore the independent power of the aspect on March 19, 1941, is .03 astrodynes. One-half (Saturn) of .03 is .02. One-fourth (Mars) of .03 is .01. .03 plus .02 plus .01 gives the discord of the aspect as .06 discordynes. M.C. lacks 34´ of the perfect parallel with progressed Venus. The peak power is .07. One-half of .07 is .04. Multiplying .04 by 34 gives 1.36. Dividing 1.36 by 60 gives .02 to be subtracted from the peak power. Therefore the independent power of the aspect on March 19, 1941, is .05 astrodynes. Dividing .05 by 4 (Venus) gives the harmony of the aspect as .01 harmodynes. The independent power and harmony or discord of each of the 11 transit aspects within orb of an aspect to Venus, Saturn or Uranus on March 19, 1941, in the John Edwards chart is given above. Observation shows that a minor-progressed aspect has two distinct types of influence. Its independent power and harmony or discord tends to attract conditions or an event of minor importance consistent with this power and harmony or discord. But in addition to this independent power and harmony or discord, if the minor-progressed aspect is to any one of the four terminals (if it has four terminals) of a major-progressed aspect, it also markedly steps up the power of the major-progressed aspect. So far as effects are concerned, it seems to operate on the major-progressed power as an automobile induction coil does in stepping up the battery current to sufficient voltage to afford the sparks necessary for ignition. And for a major-progressed aspect to gain enough power to attract a major event it would seem that it is as necessary for it to be thus reinforced by a minor-progressed aspect to one of its four terminals, as it is for an automobile to have its battery current stepped up by an induction coil to get satisfactory ignition. So far as our statistical studies have one, this reinforcement effect seems to have no influence whatever on the harmony or discord of the major-progressed aspect. Nor, so far as we have yet been able to ascertain, is this stepping up influence present when a minor-progressed planet which is the same as one of the four customary major-progressed planetary terminals, makes an aspect to a birth-chart or major-progressed planet which is not one of the four customary major-progressed planetary terminals. But when a minor-progressed planet makes an aspect to one of the four planetary terminals of a major-progressed aspect, this stepping up effect is always present. Usually during the period in which a major-progressed aspect is less than one degree from perfect there are several shorter periods in which a minor-progressed aspect forms to one of the four terminals affected by the major-progressed aspect. Each of these minor-progressed aspects will then usually coincide with a minor event of the power and harmony or discord characteristic of the independent influence of the minor-progressed aspect. But also, as a rule, whatever major event takes place will coincide in time with one of these periods in which one of the four terminals affected by the major-progressed aspect also receives an aspect by minor progression. The submajor-progressed aspects of the Moon, while adding accessory energy, do not have this stepping up effect. Every progressed aspect—major, minor or transit—involving one of the two planets of the major-progressed aspect, adds accessory energy to the signs and houses ruled by these two planets. But as a rule a major event takes place only when there is a major-progressed aspect involving a planet ruling the house, which at the time is reinforced by a minor-progressed aspect to one of the four terminals affected by the major-progressed aspect. What seems to take place is that a minor-progressed aspect to one of the four terminals affected by a major-progressed aspect, without influencing the harmony or discord of the major-progressed aspect, steps up whatever power the major-progressed aspect has at that time by the same percentage a similar major-progressed aspect steps up the birth-chart power of the planets involved. During the time a major-progressed planet is within orb of aspect, there usually are several short periods when the minor reinforcement effect produces lower or higher peaks. Some of these peaks have less power than the peak influence of the major-progressed aspect; but if not far removed from the culmination of the major-progressed aspect power, a single minor-progressed aspect—or even at the edge of orb of the major-progressed aspect, several minor-progressed aspects—involving one of the major-progressed aspect terminals, may generate a power that towers far above the peak indicated by the major-progressed aspect alone. Of course, as the actual event or events produced by the influence of the major-progressed aspect is dependent not merely upon the activity of the thought cells involved, but also upon the facility of the environment, such major event, or events, as does transpire often takes place at a time other than when the highest peak is present. But, apparently with an occasional exception, it does take place on one of the peaks of power influenced by the reinforcement effect of a minor-progressed aspect. This much has a sound basis of extensive observation. But, admittedly, there is a great deal to learn about this reinforcement effect and the effect of accessory progressed aspects in general, as well as the details of how Rallying Forces operate. Such knowledge must be ascertained through statistical research. And when it is ascertained, not only will prediction be made more precise, but Control of Life will be greatly facilitated. To ascertain the reinforcement effect of a minor-progressed aspect, the power of the given major-progressed aspect must be calculated for the date on which it is desired to know how many astrodynes are present. This may be the date on which the reinforcing minor-progressed aspect is perfect, or on some other date during the time it is within one degree of perfect. RULE: Find the power of the major-progressed aspect on that date. Then proceed exactly as if the minor-progressed aspect were a major-progressed aspect and this power were the average birth-chart power of the planets involved in the aspect. If one of the minor-progressed terminals is identical with one of the two terminals of the major-progressed aspect, the number of astrodynes thus found is the number due to the reinforcement effect of the minor-progressed aspect. If neither of the minor-progressed terminals is identical with one of the two terminals of the major-progressed aspect, the number of astrodynes thus found divided by 2 is the number due to the reinforcement effect of the minor-progressed aspect. The peak power on the day the minor-progressed aspect is perfect is obtained by adding this reinforcement power to the power of the unreinforced major-progressed aspect on that date. In the John Edwards chart minor-progressed Sun makes the perfect opposition of the major-progressed Sun on March 10, 1941, thus reinforcing each major-progressed aspect in which at the time the Sun is involved. Using the method explained in Chapter 5 (Serial Lesson 201) we find the power of major-progressed Sun semisquare birth-chart Uranus on March 10 to be 4.87 astrodynes. As Sun is in angle the decimal is .75. Multiplying 4.87 by .75 gives 3.65. 4.87 plus 3.65 (reinforcement) gives the peak as 8.52 astrodynes. Minor-progressed Uranus makes the perfect opposition to birth-chart Saturn July 2, 1940, thus reinforcing each major-progressed aspect in which Saturn is involved. On July 2, 1940, the power of major-progressed Mars sextile progressed Saturn is 13.10 astrodynes. As minor Uranus and birth-chart Saturn are in cadent houses the decimal is .40. Multiplying 13.10 by .40 gives 5.24. Dividing 5.24 by 2 (as the minor is to an indirect terminal) gives 2.62. 13.10 plus 2.62 gives the peak as 15.72 astrodynes. Minor-progressed M.C. makes the perfect parallel to progressed Saturn March 19, 1941, thus reinforcing each major-progressed aspect in which Saturn is involved. On March 19, 1941, the power of major-progressed Saturn sextile birth-chart Pluto is 16.30 astrodynes. As minor M.C. is in an angle the decimal is .60. Multiplying 16.30 by .60 gives 9.78. 16.30 plus 9.78 gives the peak as 26.08 astrodynes. On the same date the power of major-progressed Mars parallel birth-chart Saturn is 21.05. Multiplying 21.05 by 60 gives 12.63. Dividing 12.63 by 2 (as the minor is to an indirect terminal) gives 6.32. 21.05 plus 6.32 gives the peak as 27.37 astrodynes. Minor-progressed Sun makes the perfect sesquisquare with major-progressed Uranus on March 11, 1941. On March 11, 1941, the power of major-progressed Mars trine progressed Uranus was 12.13 astrodynes. As minor-progressed Sun is in an angle the decimal is .30. Multiplying 12.13 by .30 gives 3.64. 12.13 plus 3.64 gives the peak as 15.77 astrodynes. RULE: Calculate the reinforcement power of the minor-progressed aspect as if it were perfect on that day. Then, as if it were a major-progressed aspect, multiply one-half the power so found by the number of minutes the minor-progressed aspect is from perfect and divide the product by 60. Subtract the number so found from the number that would represent the minor-progressed aspect peak if perfect on that day. The number so found is the reinforcement power of the aspect in astrodynes on the given date. The peak power on this date is obtained by adding this reinforcement power to the power of the unreinforced major-progressed aspect on this date. The major-progressed power of each of the 21 major-progressed aspects on March 19, 1941, involving Saturn, Uranus or Venus and thus influencing the second house in the John Edwards chart is given in Serial Lesson 201. Let us see how some of these are reinforced on the same date by minor-progressed aspects. Major-progressed Sun semisquare birth-chart Uranus on this date has 4.72 astrodynes. Consulting the birth-chart, and the minor-progressed positions, shows that minor-progressed Sun is 45´ from perfect opposition major-progressed Sun. As progressed Sun is in an angle the decimal is .75. Multiplying 4.72 (power of major aspect) by .75 gives the reinforcement peak as 3.54 astrodynes. Dividing 3.54 by 2 gives 1.77. Multiplying 1.77 by 45 (distance from perfect) gives 79.65. Dividing 79.65 by 60 gives 1.33. 3.54 minus 1.33 gives the power of the minor-progressed aspect to reinforce major-progressed Sun semisquare birth-chart Uranus on March 19, 1941, as 2.21 astrodynes. Minor-progressed Jupiter on this date is 9´ from parallel birth-chart Sun. As Sun and Jupiter are in cadent houses the decimal is .55. Multiplying 4.72 (power of major aspect) by .55 gives the reinforcement peak as 2.60 astrodynes. Dividing 2.60 by 2 gives 1.30. Multiplying 1.30 by 9 (distance from perfect) gives 11.70. Dividing 11.70 by 60 gives .20. 2.60 minus .20 gives 2.40. But as birth-chart Sun is an indirect terminal (major aspect is from progressed Sun) we divide 2.40 by 2. This gives the power of the minor-progressed aspect to reinforce major-progressed Sun semisquare birth-chart Uranus on March 19, 1941, as 1.20 astrodynes. On March 19, 1941, major-progressed Saturn sextile birth-chart Pluto has 16.30 astrodynes. On the same date minor-progressed Sun is 36´ from perfect semisquare progressed Saturn. As minor-progressed Sun is in an angle the decimal is .30. Multiplying 16.30 by .30 gives the reinforcement peak as 4.89 astrodynes. Dividing 4.89 by 2 gives 2.45. Multiplying 2.45 by 36 (distance from perfect) gives 88.20. Dividing 88.20 by 60 gives 1.47. 4.89 minus 1.47 gives the power of the minor-progressed aspect to reinforce major-progressed Saturn sextile birth-chart Pluto on March 19, 1941, as 3.42 astrodynes. On March 19, 1941, major-progressed Saturn trine progressed Asc. has 9.24 astrodynes. On the same date minor-progressed Uranus is 35´ from perfect opposition birth-chart Saturn. As these planets are in cadent houses the decimal is .40. Multiplying 9.24 by .40 gives the reinforcement peak as 3.70. Dividing 3.70 by 2 gives 1.85. Multiplying 1.85 by 35 (distance from perfect) gives 64.75. Dividing 64.75 by 60 gives 1.08. Subtracting 1.08 from 3.70 gives 2.62. As birth-chart Saturn is an indirect terminal we divide 2.62 by 2. This gives the power of the minor-progressed aspect to reinforce major-progressed Saturn trine progressed Asc. on March 19, 1941, as 1.31 astrodynes. On March 19, 1941, minor-progressed Jupiter is 46´ from perfect square progressed Asc. As progressed Asc. is in an angle the decimal is .50. Multiplying 9.24 by 50 gives the reinforcement peak as 4.62 astrodynes. Dividing 4.62 by 2 gives 2.31. Multiplying 2.31 by 46 (distance from perfect) gives 106.26. 106.26 divided by 60 gives 1.77. 2.85 minus 1.77 gives the power of the minor-progressed aspect to reinforce major-progressed Saturn trine progressed Asc. on March 19, 1941, as 2.85 astrodynes. The total power of a major-progressed aspect is the sum of the power of the unreinforced aspect and the power of all the reinforcing minor-progressed aspects affecting it on that date. The power of each major-progressed aspect and the power of each reinforcing minor-progressed aspect, involving Saturn, Uranus and Venus, and their total reinforced power on March 19, 1941, is given above. RULE: One-half the total power and harmony of a planet due to progressed aspects is added to the sign and house the cusp of which each of the aspecting planets rules. One-fourth if it is an intercepted sign. 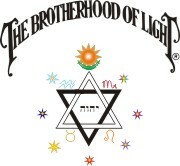 The total power and harmony of a planet due to progressed aspects is added to the sign and house actually occupied by its terminal directly involved in the aspect, and one-half the total power and harmony is added to the sign and house occupied by its terminal not directly involved in the aspect. The sum of the powers thus indicated added to the normal progressed power of the sign or house gives its total power. And the sum of the harmonies thus indicated added to the progressed normal harmony of the sign or house gives its total harmony. 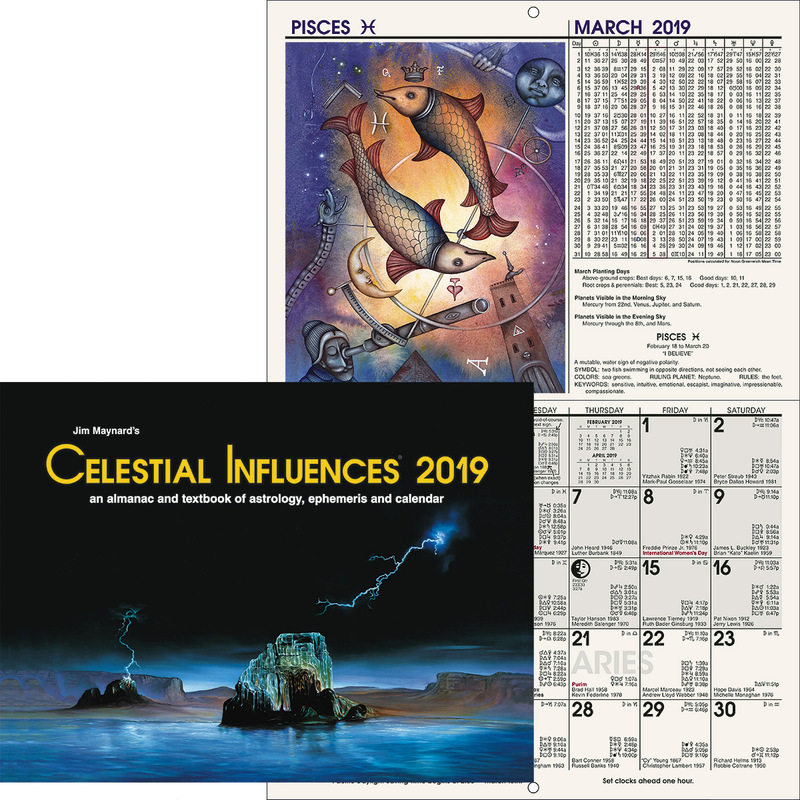 In Serial Lesson 201 is given the reinforced power of each of the 11 major-progressed aspects in the John Edwards chart involving Saturn on March 19, 1941. Their sum is 695.72 astrodynes. The power of each of the six independent minor-progressed aspects and the three transit aspects to Saturn are given. The sum of the six minors is 3.27 astrodynes. The sum of the three transit aspects is .15 astrodynes. The total sum is 699.14 astrodynes. Dividing 699.14 by 2 gives 349.57. Serial Lesson 200 shows the normal major-progressed power of Capricorn as 32.61. 349.57 plus 32.61 gives the total power of Capricorn on March 19, 1941, as 382.18 astrodynes. In Serial Lesson 201 the harmony of each of these 11 major-progressed aspects is given. Their net sum is 64.62 discordynes. 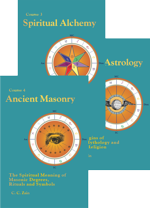 In this chapter the harmony of each of the six independent minor-progressed aspects and the harmony of each of the three transit aspects are given. The sum of the six minor aspects is 2.67 discordynes. The sum of the three transit aspects is .12 discordynes. The total sum is 67.41 discordynes. Dividing 67.41 by 2 gives 33.71 discordynes. In Serial Lesson 200 the normal progressed harmony of Capricorn as 9.24 discordynes. 33.71 plus 9.24 gives the total harmony of Capricorn on March 19, 1941, as 42.95 discordynes. Above is given the reinforced power of each of the 11 major-progressed aspects involving Uranus. Their sum is 500.52 astrodynes. Also above, the power of each of the six independent minor-progressed aspects and the two transit aspects involving Uranus are given. The sum of the six minor-progressed aspects is 2.22 astrodynes. The sum of the two transit aspects is 11 total sum is 502.85 astrodynes. Dividing 502.85 by 4 (Aquarius is intercepted) gives 125.71 astrodynes. Dividing 699.14 (total power of Saturn, coruler of Aquarius) by 4 gives 174.79 astrodynes. Serial Lesson 200 shows the normal progressed power of Aquarius as 9.84 astrodynes. 125.71 plus 174.79 plus 9.84 gives the total power of Aquarius on March 19, 1941, as 310.34 astrodynes. In Serial Lesson 201 the harmony of each of these 11 major-progressed aspects is given. Their net sum is 23.07 discordynes. In this this chapter the harmony of each of the six independent minor-progressed aspects and the harmony of each of the two transit aspects are given. The sum of the six minor-progressed aspects is .17 discordynes. The sum of the two transit aspects is neutral. The total sum is 23.24 discordynes. Dividing 23.24 by 4 gives 5.81 discordynes. 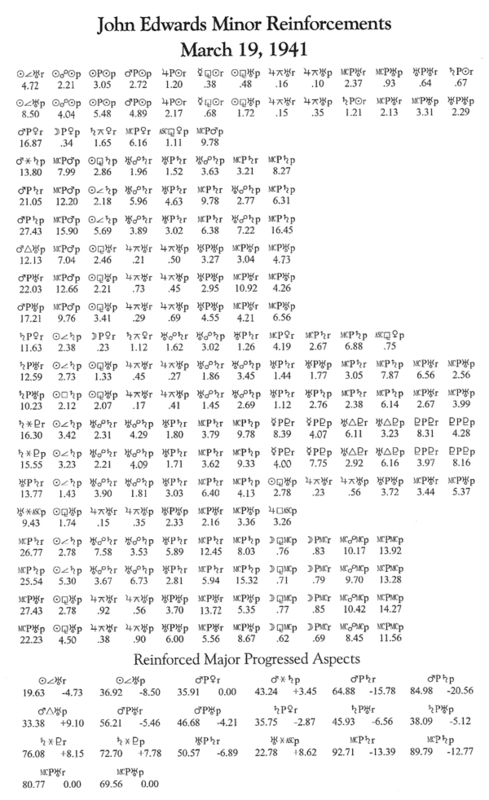 Dividing 67.41 (total discord of Saturn) by 4 gives 16.85 discordynes. A graphic in Serial Lesson 200 contains the normal progressed harmony of Aquarius astrodynes The 1.86 discordynes. 5.81 plus 16.85 plus 1.86 gives the total harmony of Aquarius on March 19, 1941, as 24.52 discordynes. In this chapter is given the reinforced power of the two major-progressed aspects to birth-chart Venus. Their sum is 71.66 astrodynes. In this chapter is given the power of each of the two independent minor-progressed aspects and each of the two transit aspects to birth-chart Venus. The sum of the two minor-progressed aspects is .68 astrodynes. The sum of the two transit aspects is .06 astrodynes. The total sum is 72.40 astrodynes. In lesson 201 the harmony of each of the two major-progressed aspects is given. Their net sum is 2.91 discordynes. In this chapter the harmony of each of the two independent minor-progressed aspects and the harmony of each of the transit aspects is given. The sum of the two minor-progressed aspects is .13 harmodynes. The sum of the two transit aspects is .02 harmodynes. The total sum is 2.76 discordynes. There are no major-progressed aspects involving progressed Venus. In this chapter is given the power of each of the two independent minor-progressed aspects and each of the four transit aspects. The sum of the two minor-progressed aspects is .17 astrodynes. The sum of the four transit aspects is .14 astrodynes. The total sum is .31 astrodynes. 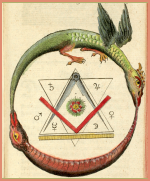 In this chapter is given the harmony of each of the two independent minor-progressed aspects and the harmony of each of the four transit aspects to progressed Venus. The sum of the two minor-progressed aspects is .09 discordynes. The sum of the four transit aspects is .02 discordyne. The total sum is .11 discordynes. Graphic in Serial Lesson 200 gives the normal progressed power of the second house as 64.63 astrodynes. 64.63 plus 349.57 (one-half Saturn) plus 174.79 (one-fourth Saturn) plus 125.71 (one-fourth Uranus) plus 72.40 (birth-chart Venus) plus .16 (one-half progressed Venus) gives the total power of the second house on March 19, 1941 as 787.26 astrodynes. Graphic in Serial Lesson 200 gives the normal progressed harmony of the second house as 1.53 discordynes. 1.53 plus 33.71 (one-half Saturn) plus 16.85 (one-fourth Saturn) plus 5.81 (one-fourth Uranus) plus 2.76 (birth-chart Venus) plus .06 (one-half progressed Venus) gives the total harmony of the second house on March 19, 1941, as 60.72 discordynes.